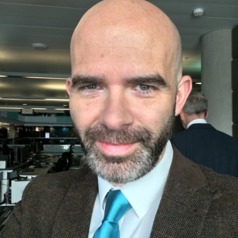 Rob is a Senior Lecturer in Linguistics at Manchester Metropolitan University, involved primarily in sociolinguistic variation, urban adolescent speech, accents and dialects, and linguistic ethnography. He is currently funded by The Leverhulme Trust for the UrBEn-ID.org project 'Expressing inner-city youth identity through Multicultural Urban British English'. Rob is Associate Head of the Manchester Centre for Youth Studies, MCYS. He has a PhD and MA from the University of Manchester.